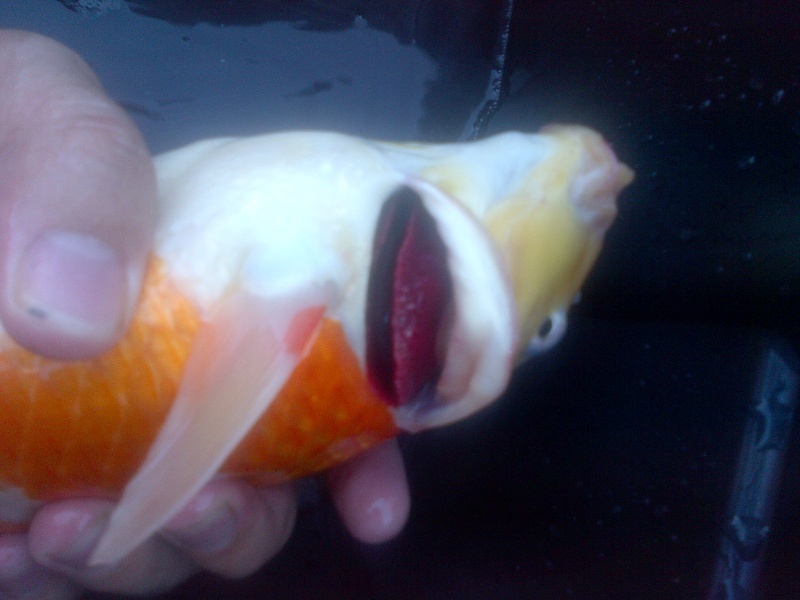 My one koi has its gill covers open and distended away from its body. What is this please koi vet? 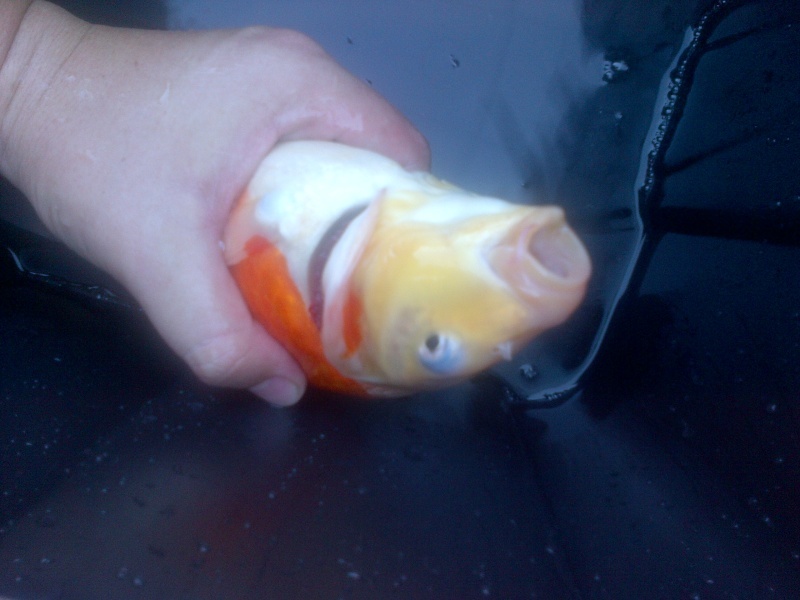 Its smaller than my other fish.Its never grown as wll as the other have. and they were all the same size when i bought them all together. Its growth kinda stopped because of illness which i did isolate and medicate a year ago. Do you have any photos of this? Maybe we can advice then. ill describe my photo since it does not go through. If you look at the fish from the top you will see its gill covers distended and bent away from the body. the gills inside look a bit red as well. That is abnormal? What is this symptom pointing to? The fish is not gasping for air. Its only a bit tired and not as frisky as my other fish. At this time ive put it in a hospital tank and medicated it with a general medicine :tetra gold med for fish diseases and parasites. ill see if that helps. 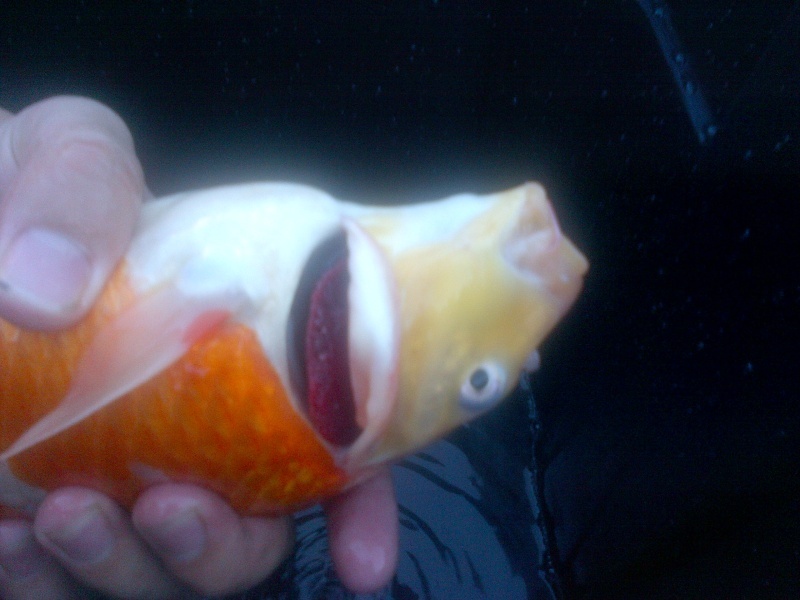 I have the same problem with one of my kois. I will try and post a photo this afternoon when i am at home. If you cut it will it grow back normal? 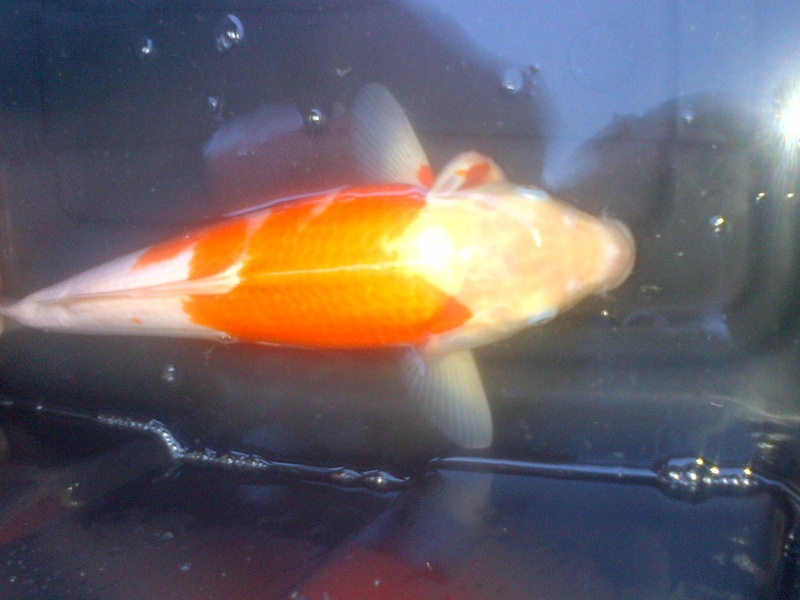 Here is my one Kohaku that got the gill cover that is growing out and away from the the gill. Need so help what to do pls. I know you can trim over grown gill flaps but I don't know if you can cut half the gill plate away. I wont do that, I would rather put the fish down. Quinten....I have a showa, still tosai that had an ulver I picked up very late, right under it's gill plate. When I saw it the bottom half of the gillplate was gone as well. The ulcer almost fully healed, I am now going to start trimming the gillplate to see if it grows back. So this is a question I also wanted to know the answer to.....I have already written off the fish, so will just use this as a learning experience and hope the the best, if not then so be it! This will be a learning experience for all of us and will be nice to see what will happen. Quinten, if the fish is eating fine and doesn't swim around on its own distancing itself from the rest, and it appears healthy and most importantly......the deformity does not disturb you then why do you have to put the fish down?!?!?!?!?! If you are happy looking at it, and the fish appears happy then let it be and carry on enjoying it! Just cos it might not look right does not mean it does not have a right to live.....all up to you tho! 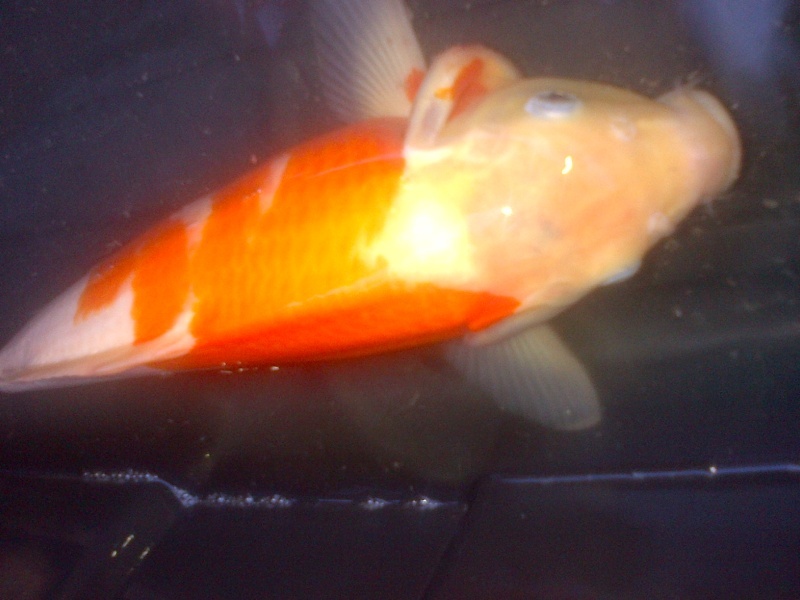 This kohaku is just over 30cm and it just a year old. The fish is very happy and eats very good. 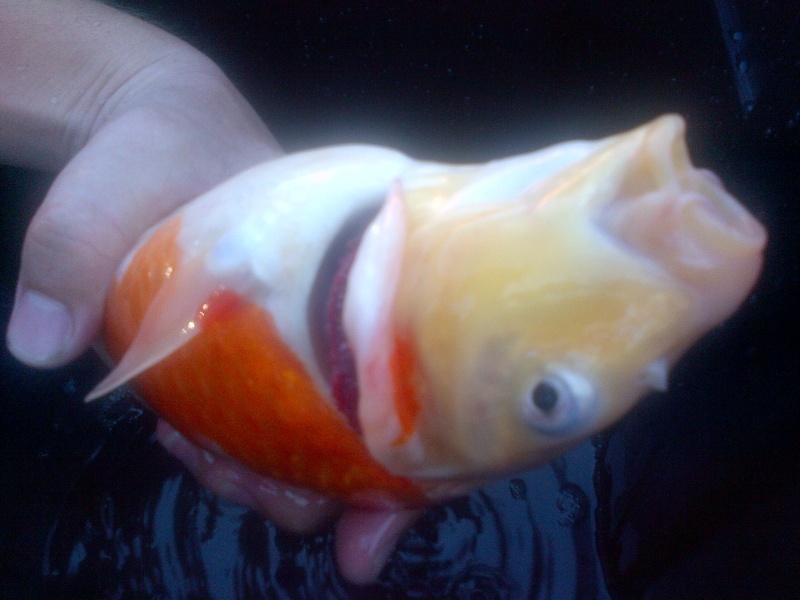 I dont want to put this koi down. I will just leave it. Was this fish a tobi? I saw this happen to lots of tobies before when lots of fry are kept in little water. Subject: Re: wide open gill covers???? ?